Click to shop or view current golf specials! Play golf on stunning, high definition golf courses. Relive famous golf tournaments from past and present. Play with your favorite golfers from throughout the history of the game. 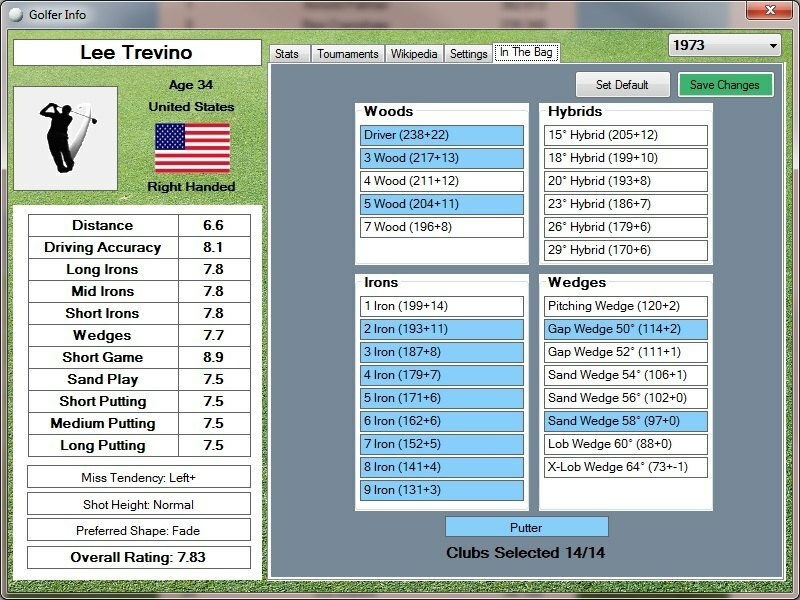 Play complete tour seasons with detailed stats. Match up golfers from different eras to see who's best. Normal - Full detail. Pause and join at any time. Faster - Full detail, but in a simulation order that minimizes load times. Rounds play 20-30% faster but can’t be paused or joined in progress. Fastest - Using a simplified simulation model, rounds play 80% faster but can’t be joined in progress. This mode still includes full statistical tracking. Improved physics for bounce, roll, and spin, and better interactions with sloping terrain. 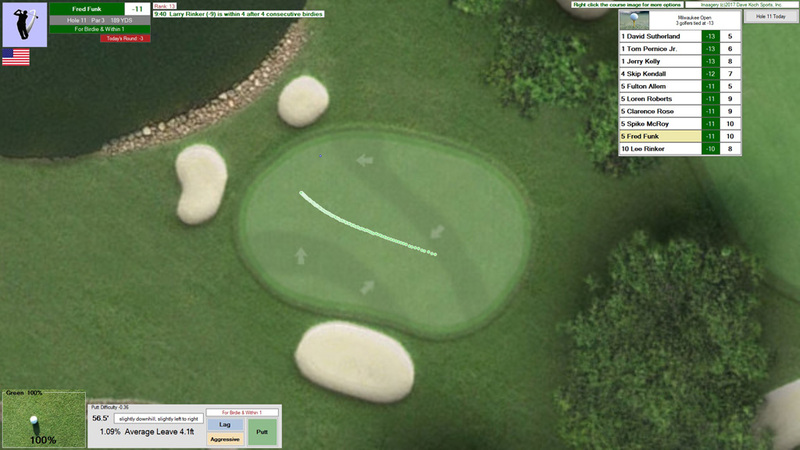 Improved wind effects, including its effect on ball flight and the visual depiction of that ball flight. Redesigned optional swing meter system with 4-click swing control. 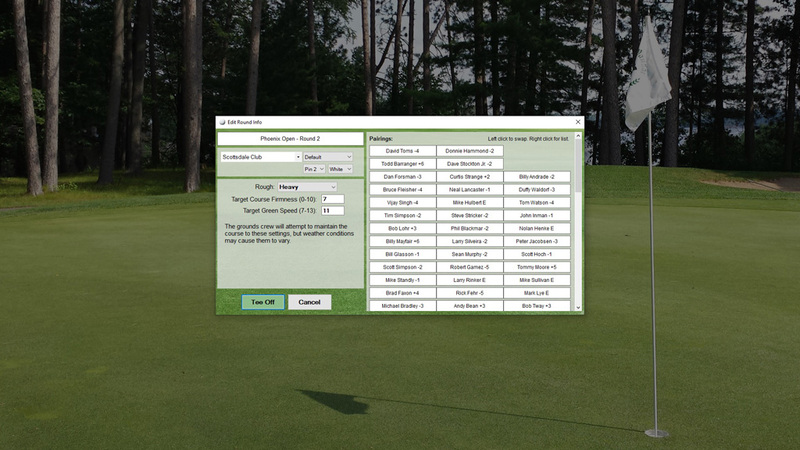 Using the swing meter is an alternate way to play the game, which allows the user some impact on the execution of the shot, while still factoring golfer ratings. Using the redesigned meter, you’ll click to set power, click again for accuracy, and a third time for contact (fat or thin shots). The importance and effect of contact depends on the type of shot, the lie, and golfer’s ability. A normal approach from the fairway is forgiving, but an approach from a fairway bunker needs to be struck precisely. 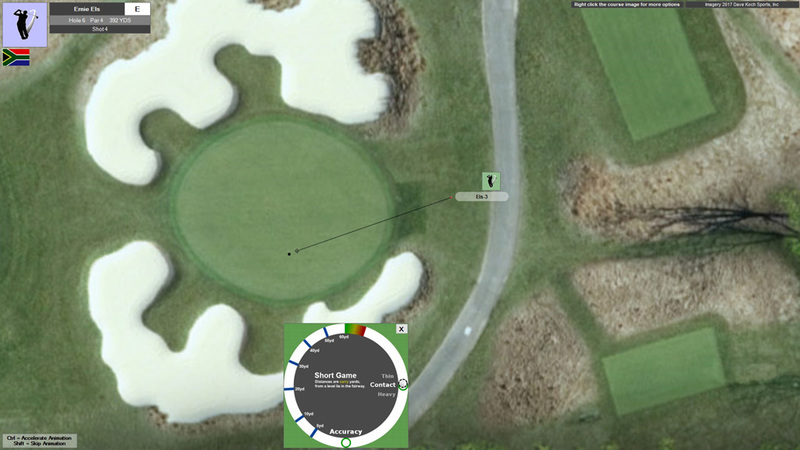 Around the greens, the meter shows the distance the ball will carry in normal conditions on pitch, lob, and flop shots; and the total distance for running chip shots. It’s up to the user to alter the swing length to account for lies, sloping terrain, and course conditions. Improved visual styles on forms throughout the game give the game a cleaner, more attractive look. 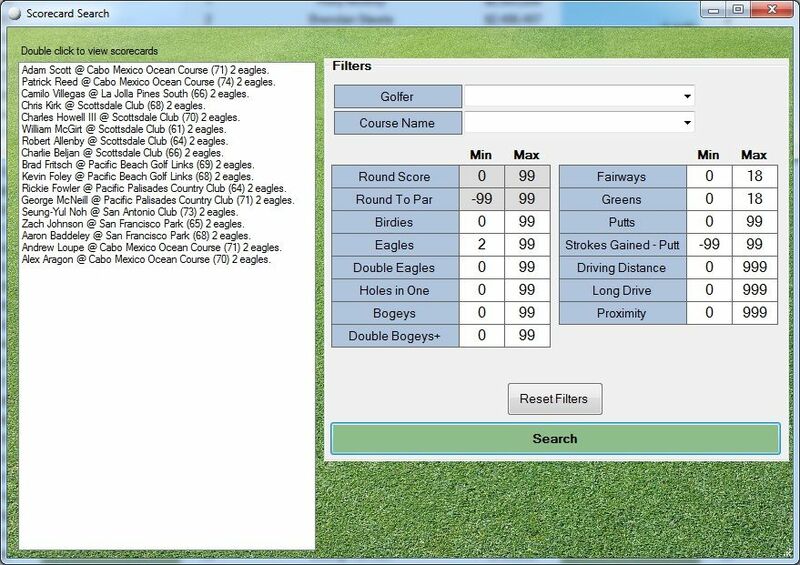 Option to add course descriptions and clubhouse photos that appear on the redesigned course select screen. 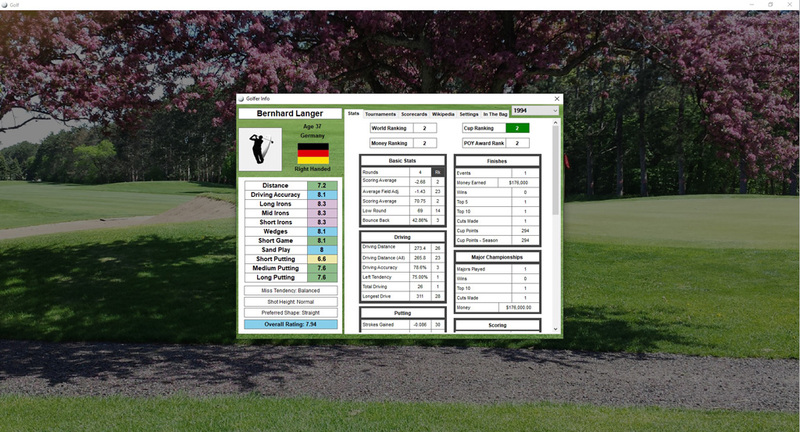 New quick links to reports added to the opening screen, including buttons to quickly configure the opening screen leaderboards for various statistical categories including driving, approach, putting, rankings, and more). Country flags are now also displayed on the opening screen. 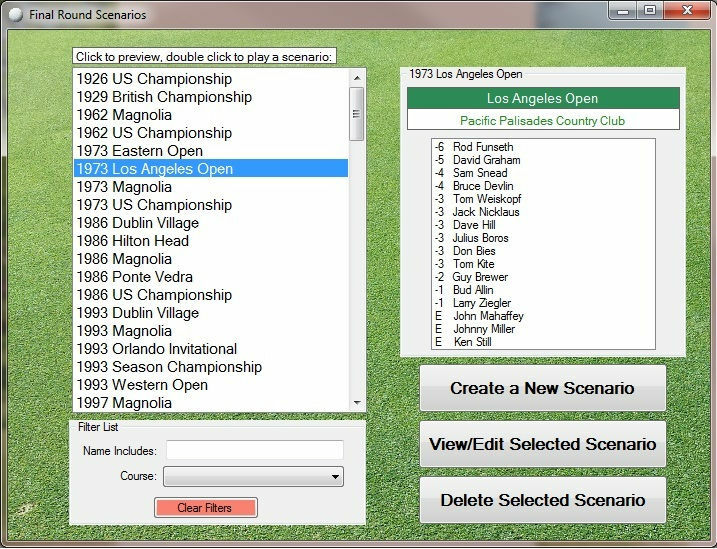 Option to preview and edit tournament pairings before each round. Improved handling of divot lies in the fairway and buried lies in the sand. Balls have a greater chance of burying in bunkers if they impact at a steep angle. Spin adjustments are no longer allowed when playing from a divot, and the shot may react unpredictably. 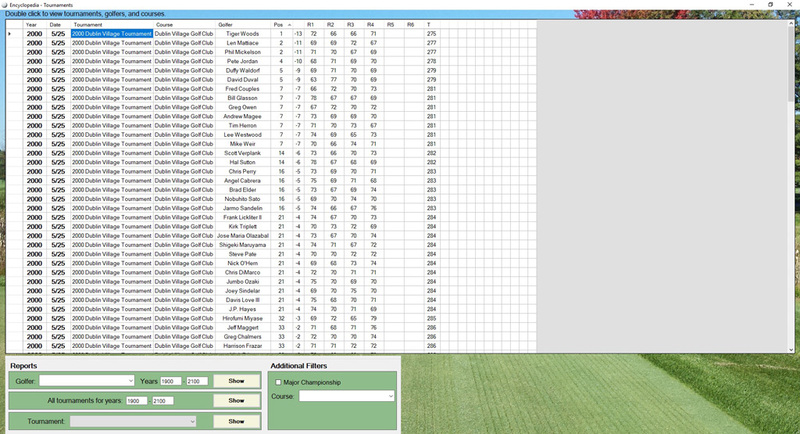 Player ratings are color coded according to their percentile within the season file. An option in the season preferences allows you to set the number of players to compare against. For example, ratings can be color coded by percentile relative to the top 100, rather than the entire season file. 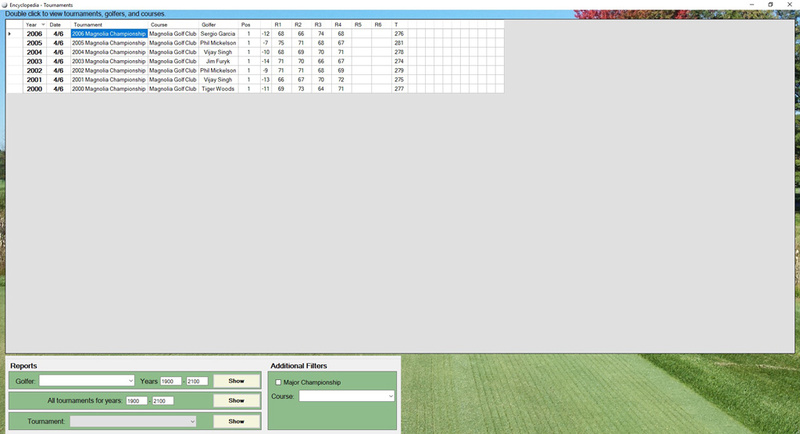 Option to hide the putt result percentages. 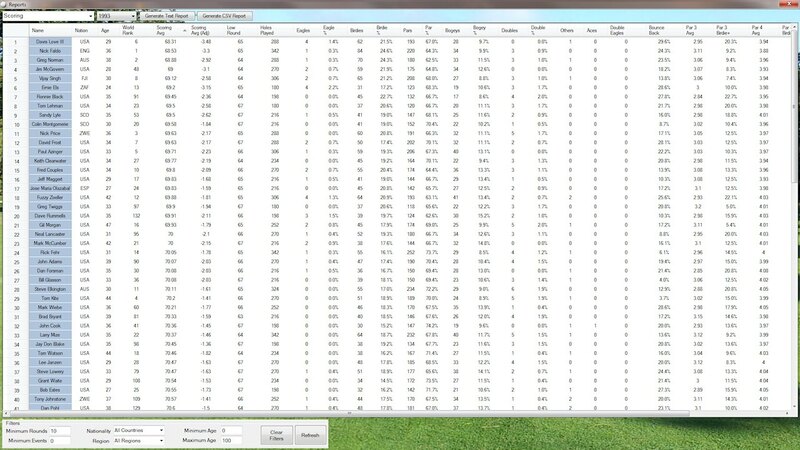 With percentages hidden, putting is no longer a numbers game. You’ll need to consider the break of the putt, green speeds, and round context when deciding on a strategy. 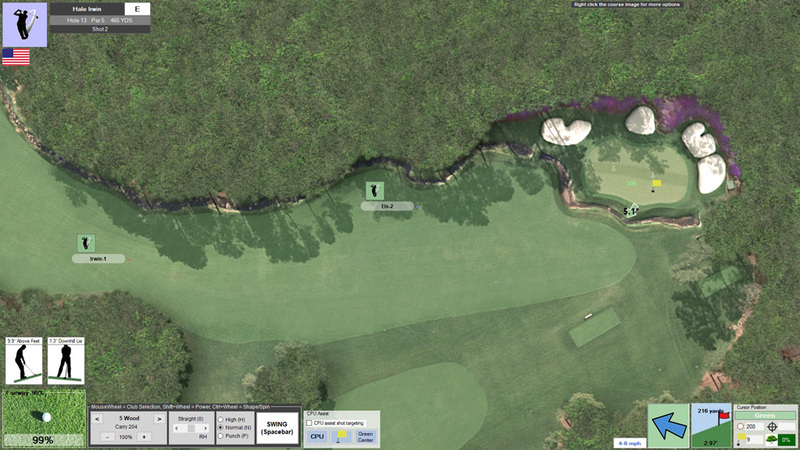 Improved ball markers during gameplay include the player’s name and number of shots played, as well as a golfer picture (pictures not included). 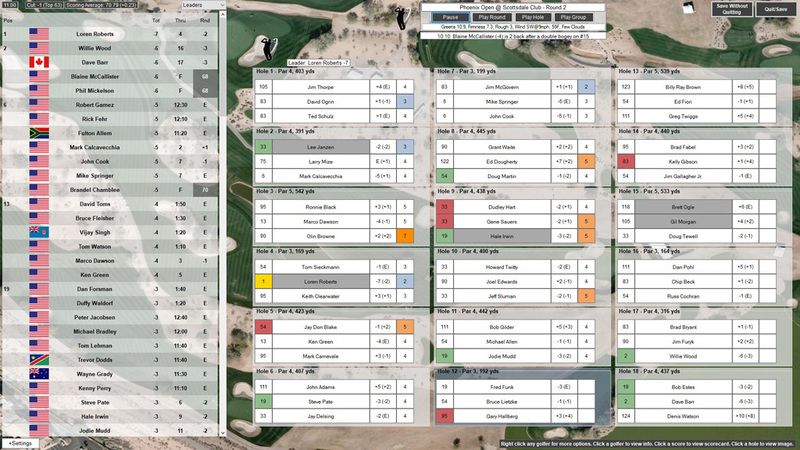 Tournament summaries now show hole-by-hole totals for the entire tournament. Support for the new Tour Championship format, in which players are assigned a starting score according to their cup ranking. This option can be enabled in the season preferences, and is enabled by default in the included 2018-19 season. 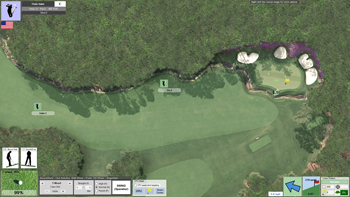 Two new historical course layouts for “Magnolia Golf Club” featuring brand new imagery. One is modeled after the 1986 layout, and is appropriate for use in tournaments prior to 2002. 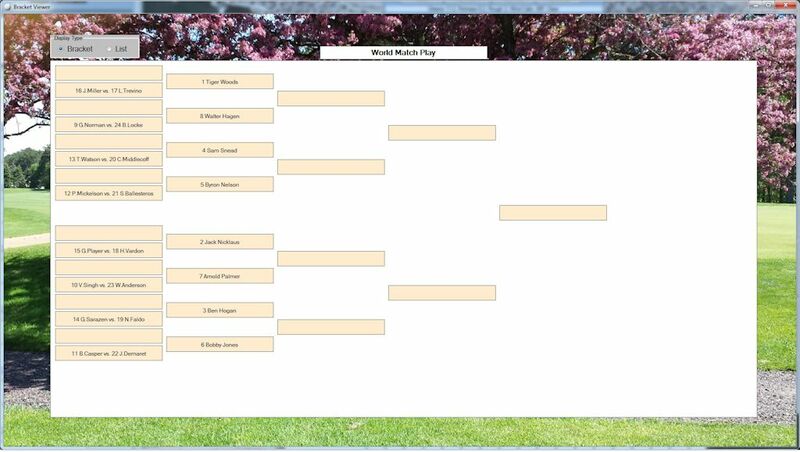 The other is based on the 2002 layout, and can be used in tournaments from 2002-2010. Updated schedules representing each decade which include both official course releases and community designed courses. To import one of these schedules, choose “Tools/Schedules/Import” from the opening game screen. Save $5.00 If you own any previous edition of Action! PC golf, use the word UPGRADE as your discount code. This special upgrade offer is only available with online purchase. 1986 Season, with an updated schedule including both official course releases and community designed courses. 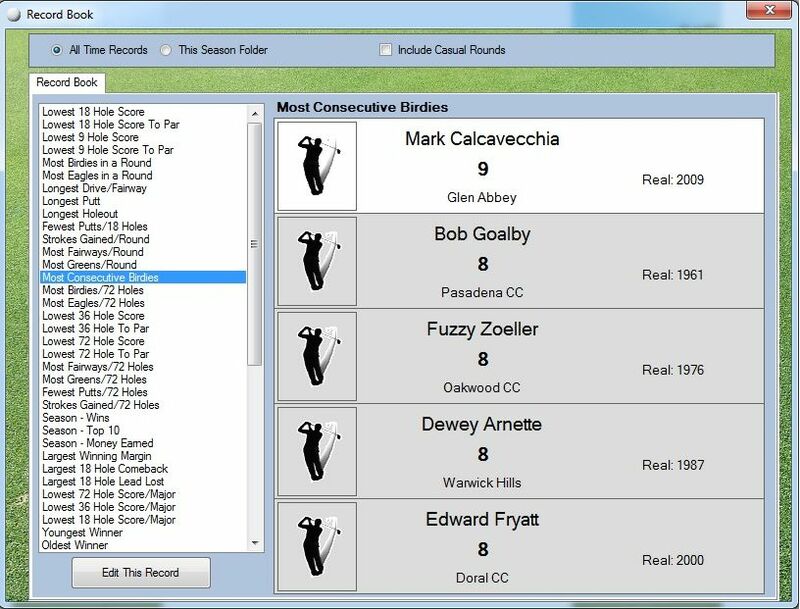 Play rounds of golf as or against your favorite golfers from past and present. 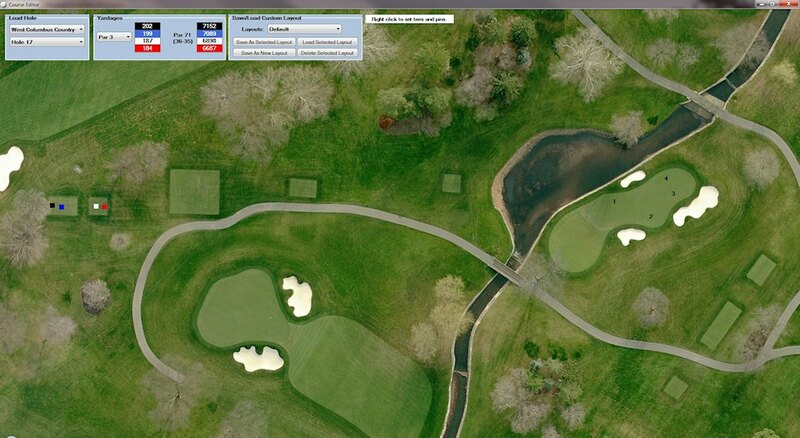 Rounds are played on championship courses using stunning, high resolution, aerial imagery. Plan your shots by choosing your club, your swing power, draw or fade, high shot or punch shot, and more. Then watch your golfer execute the shot according to his abilities with remarkable statistical accuracy. Or, take control of the swing itself with the optional three-click swing meter. Detailed course conditions make the course play differently every round. Green speed, rough length, course firmness, wind, temperature, sky condition, and elevation all must be accounted for on every shot. Conditions even change dynamically throughout tournament rounds. You can even download current real world weather conditions. 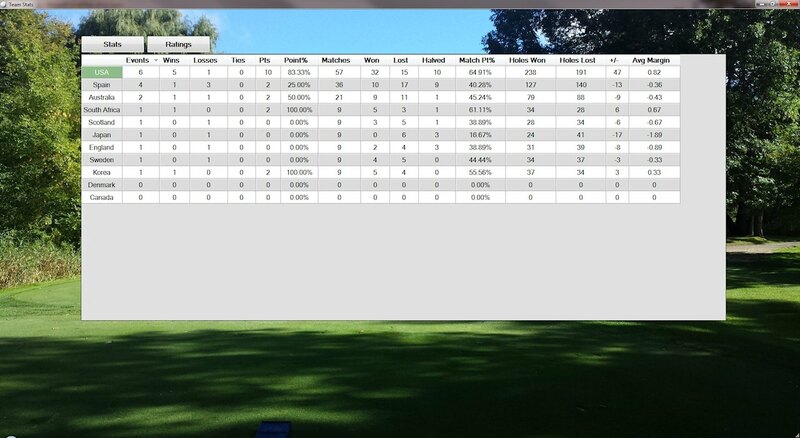 Play individual tournaments or complete tour seasons with detailed stat tracking. 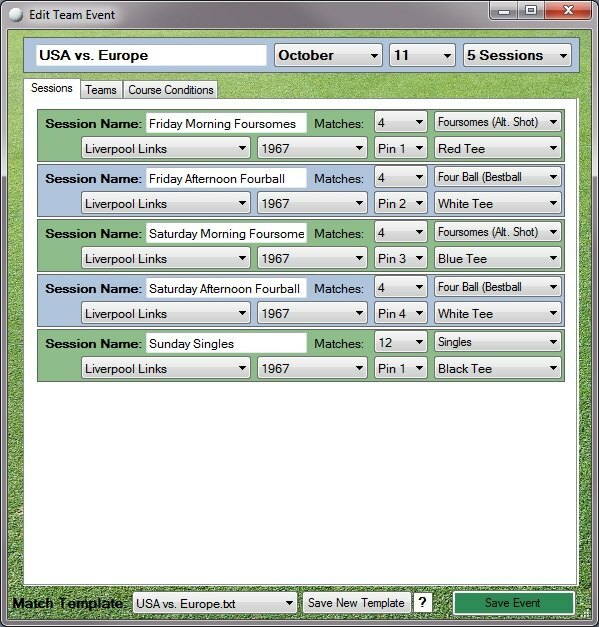 Tournaments can be created and edited to create your ideal season schedule. Major championships, playoff formats and tour championships, exhibitions, and qualifying events are all available. 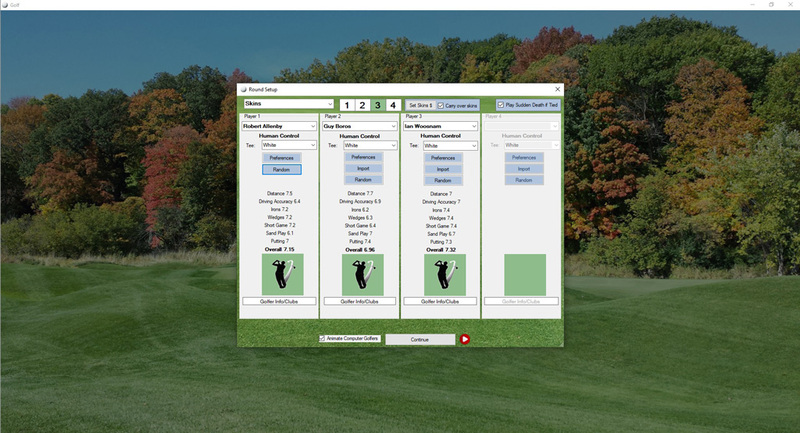 Control or watch any golfers during tournament rounds, or take your favorite golfer through a complete season and beyond. Detailed leaderboards, statistics, and highlights make following the latest happenings exciting and immersive. 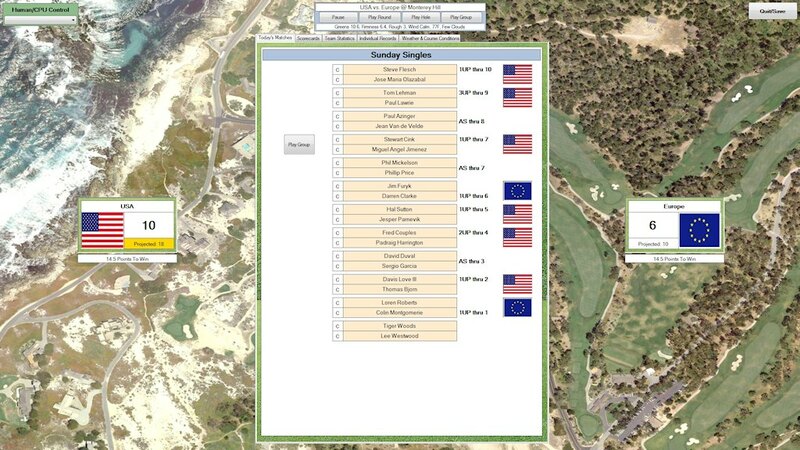 Team events with up to 12 players per team, can be customized for the number of sessions and participants in each, including singles match play, alternate shot, and best ball formats. Templates are included for many of the common team formats. 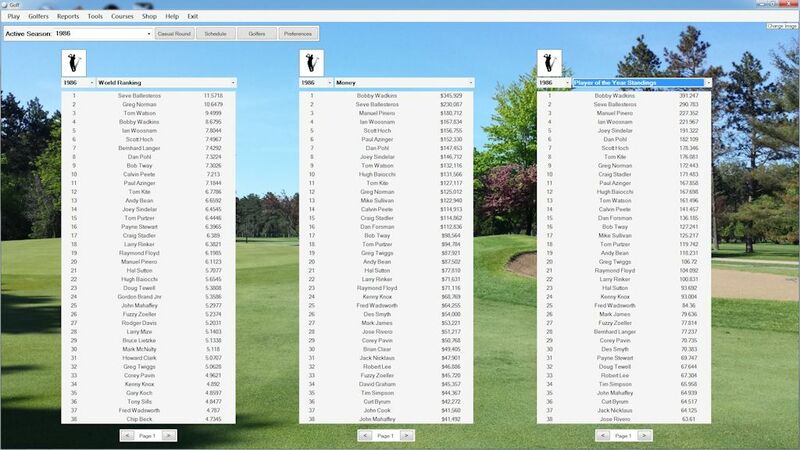 Create match play brackets with any number of golfers from four to 256, with rounds from single elimination to best of nine matches. Jump right into the final round of a real-world tournament and control any golfer. 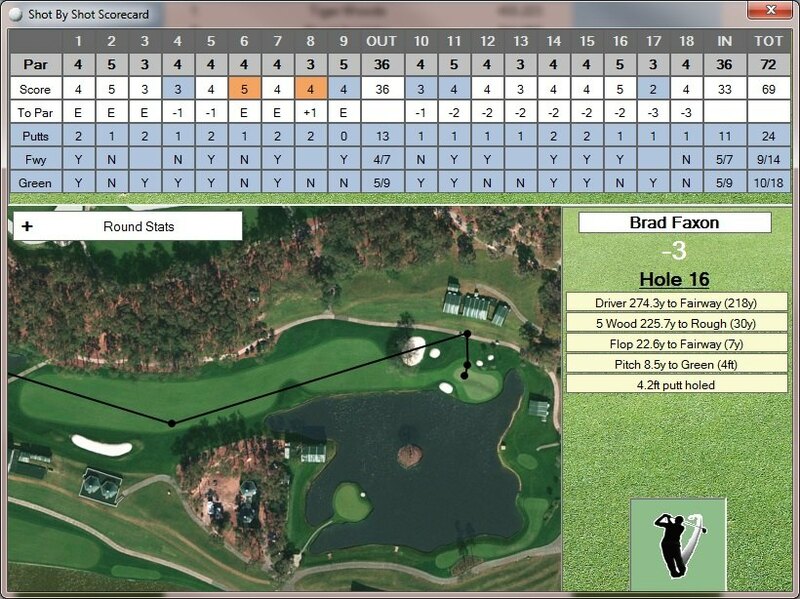 Over 100 historical scenarios are built in, including the final round leaderboard and course conditions. It’s easy to create your own scenarios, too. This unique format has two teams face off against each other in a single round, where a different team member hits each shot. The rules can be customized in many ways. 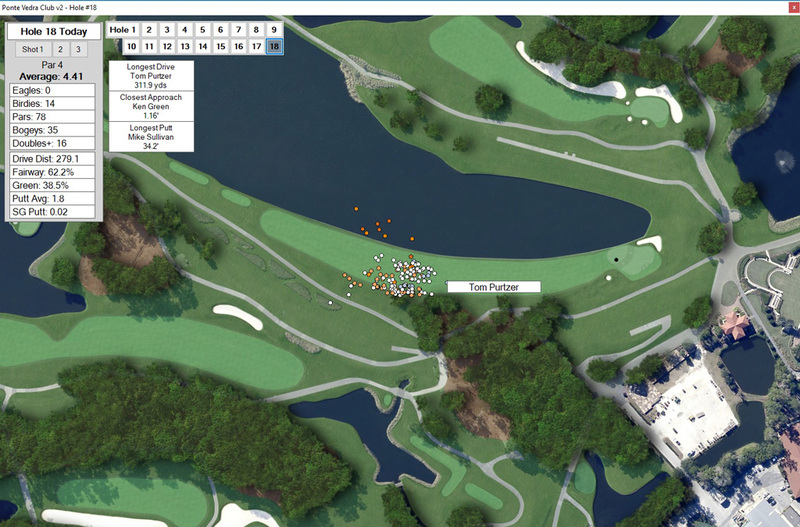 For example, you can set a lineup order of golfers, or pick a golfer for each shot. 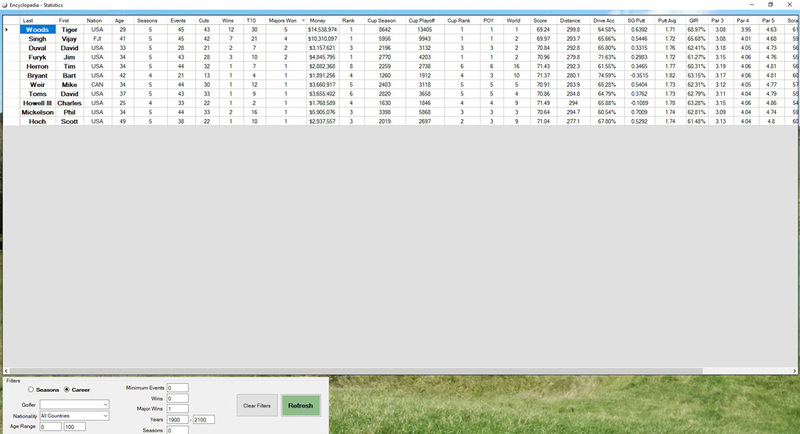 Optionally seet a limit on the number of times a single golfer can be used. This format provides a level of managerial strategy you likely haven’t seen before in golf. Stats and standings are kept for these matchups. Even when golfers are computer controlled and “autoplayed,” the shots are played out in the same level of detail as your human controlled golfers. The game AI must make the same decisions, and is subject to the same considerations. Detailed statistics are tracked including world rankings, cup points, money, and more. All standard statistics like driving accuracy and greens in regulation are kept, as well as more detailed stats like proximity to the hole from various distances, putting by distance, three putt streaks, and more. 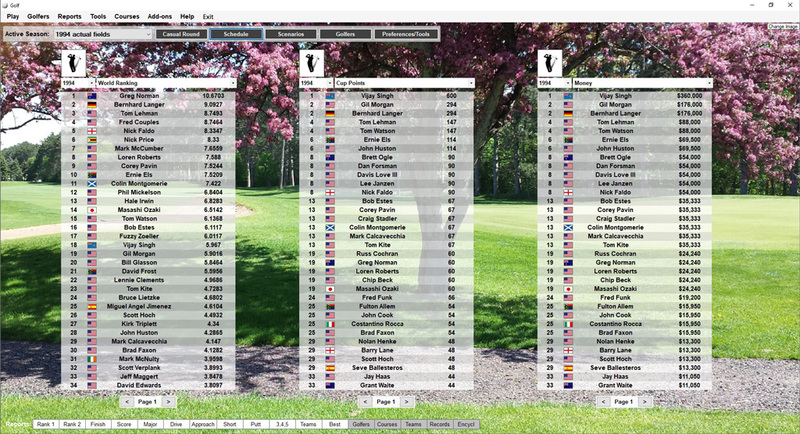 Results from past tournaments can also be viewed from each player form. 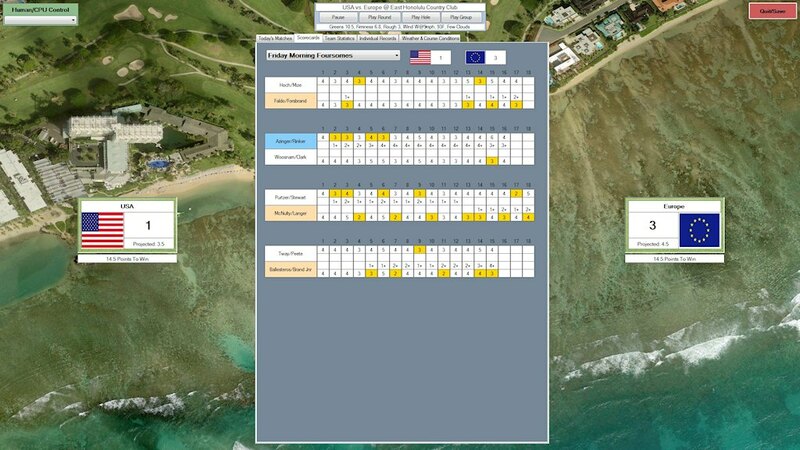 Click the event name to view the leaderboard, click a score to view the scorecard, and click a hole to view shot by shot results for that hole. 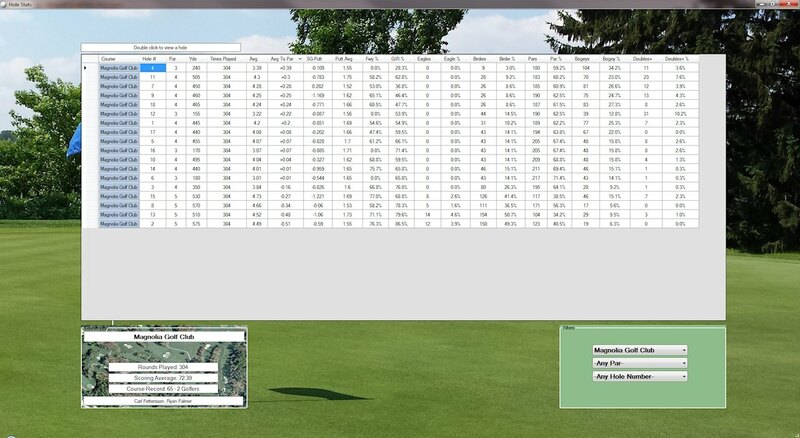 Hole by hole course stats are also compiled for every tournament round. Additionally, all time and season records are kept, as well as replays of great shots hit by computer or human golfers. These replays can be searched and sorted. 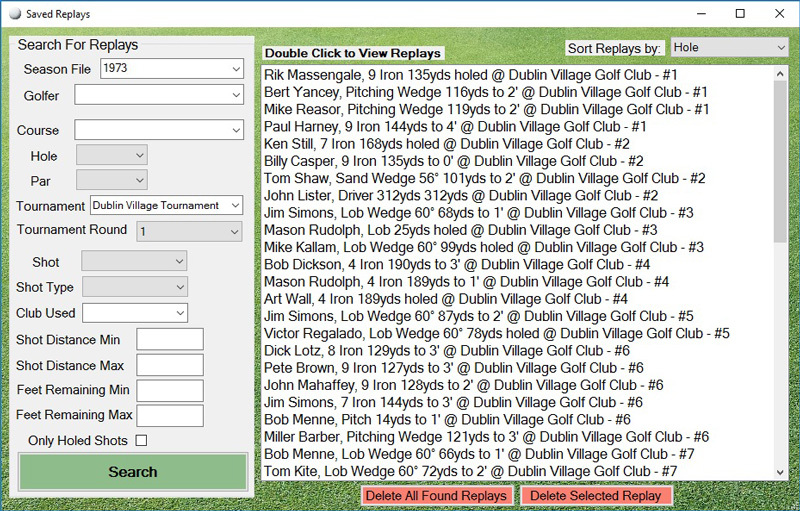 Want to find the replays for every hole in one on your tour? 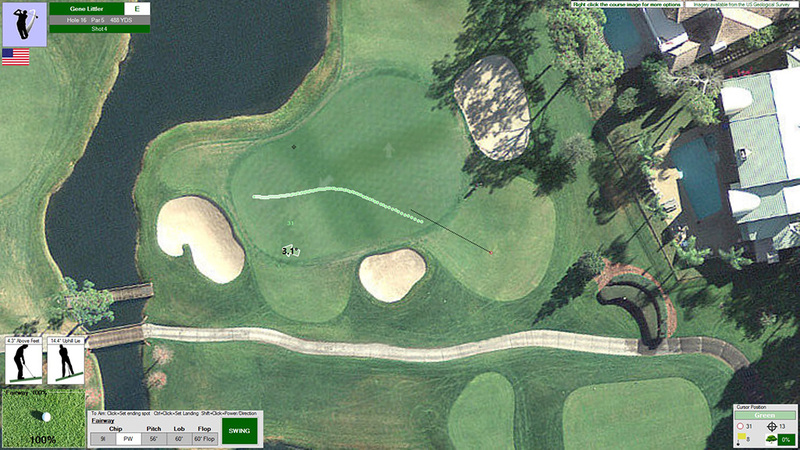 How about the longest hole-out made, or every great shot on a certain par three? Action! 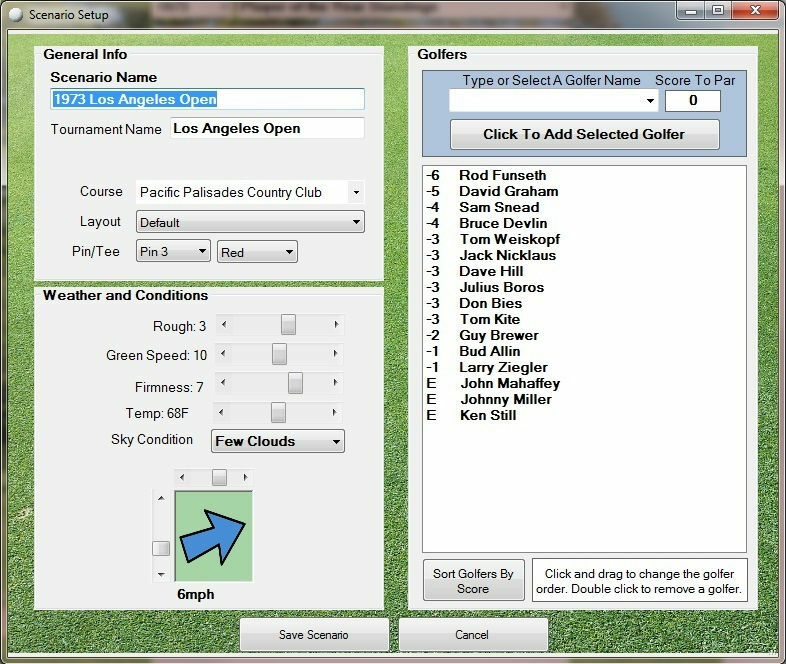 PC Golf includes tools for creating and editing golfer and seasons. All ratings and attributes can be customized. 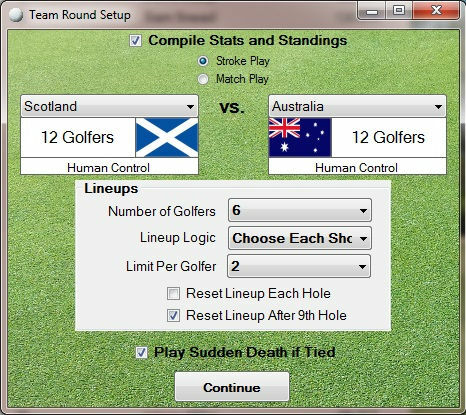 Golfers can also be imported between seasons to set up cross-era matchups. 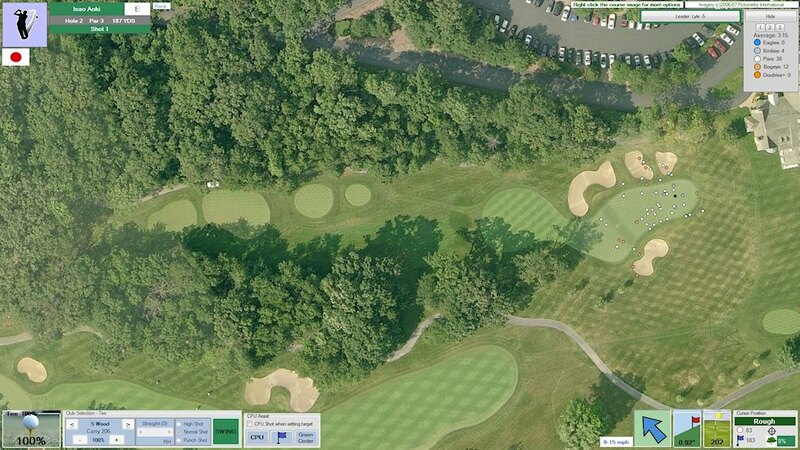 Courses use high resolution aerial imagery, or our own graphical style. 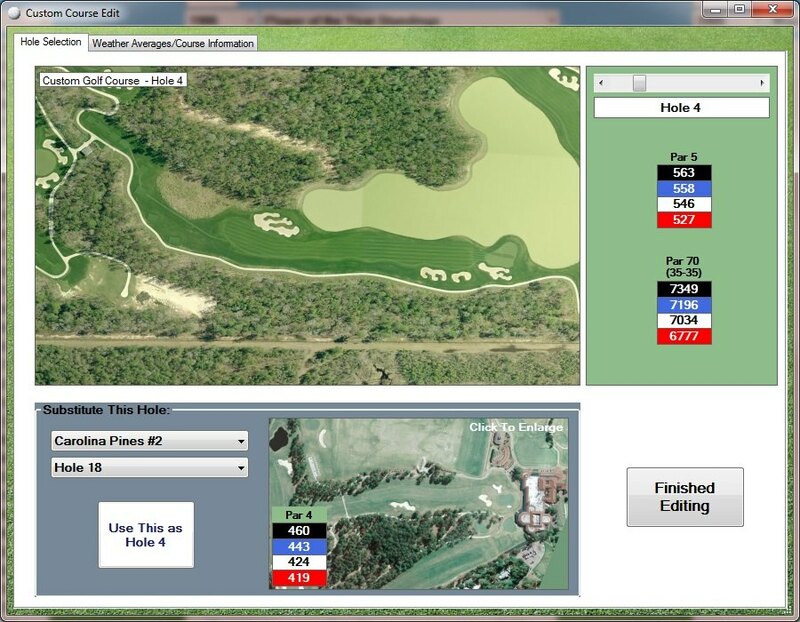 Additional layouts can be created and customized, including tee and pin locations, and par. It’s also possible to create new courses using holes from existing courses. Visit our shop to view our extensive and growing list of available courses! 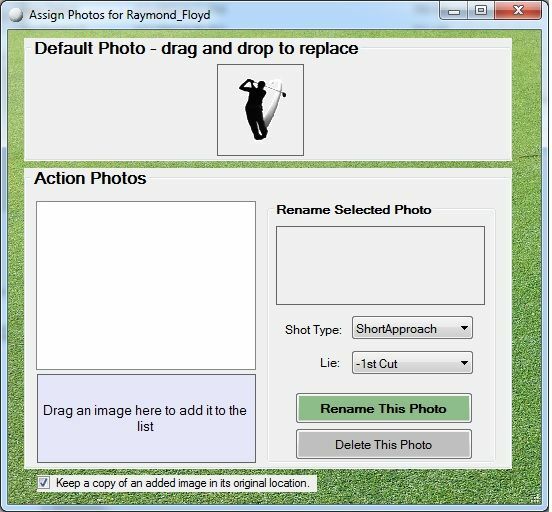 Action PC Golf is able to be enhanced and modified in a number of ways, and our user community has done some great work. 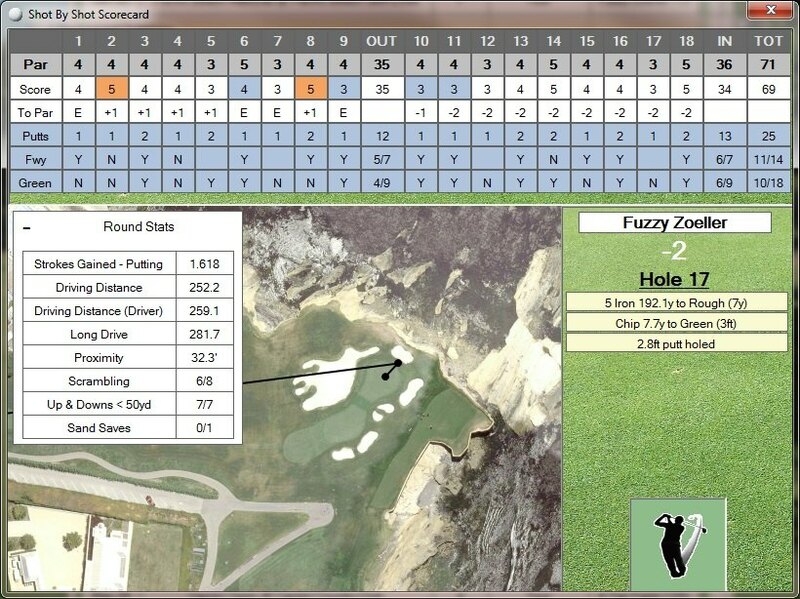 Check out the forums for user mods including photos, logos, flags, hole pictures, and even complete golf courses!